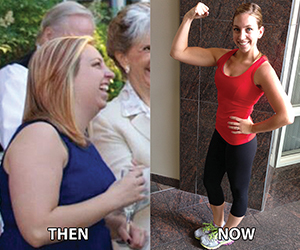 Cal Fit Success Story: Rocklin Member, Megan W.
I joined California Family Fitness with great intentions but soon found myself in a never-ending cycle of giving up and coming back. I was feeling uncomfortable, out of shape and was having a hard time holding myself accountable. I knew that getting the results I was looking for would be very difficult if I continued without some help. 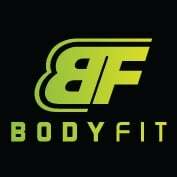 A friend of mine convinced me to sign up for Body Fit with her at the Rocklin Cal Fit. I would have never been brave enough to sign up on my own, but I felt motivated enough to give it a try. Little did I know, it was exactly what I needed – especially once I began to see each aspect of my life being positively impacted. The Body Fit program has allowed me to work with so many of the club’s Personal Trainers. It’s fun being able to implement different tips, techniques, and goals that each trainer brings to the table. Today I feel strong, excited, and FIT! Who would have thought!? In the past 11 months, I've lost 45 pounds, 35 inches, gained a waist and a whole lot of confidence. I actually enjoy going to the gym now, even at 5:30am! I stand taller, wear bright colors, and I am proud of what I see looking back at me in the mirror. I really feel like I'm living in a whole different world. Whether you're stuck in a rut, new to the gym, or just looking for something new and challenging, give Body Fit a shot; you just might surprise yourself!